Many have asked over the years why various beasts of the other realm are repelled by silver. The truth is a little complicated to get into as each monster has slightly different reasons for being harmed by the pure and radiant metal. The theory for lycanthropes is that their form comes from the shimmering of moonlight and that silver so closely reflects the light of the moon that it serves as the only means to force them to return to their normal form… or even meet their end. Vampires, of course, are repulsed by anything that represents purity or light, so they are harmed by it for similar reasons to that of their hated rivals. Plus, priests have a really easy time blessing a metal that shines so keenly! Skeletons, zombies, and your other typical undead are simply lesser creatures so, (un)naturally, they dislike it all the same. And, ghosts? Well, they are just so fascinated by the sparkle that they usually have to stop and check it out and they just don’t have much else to do with their unlife, so they’re generally OK with calling it a night afterwards. 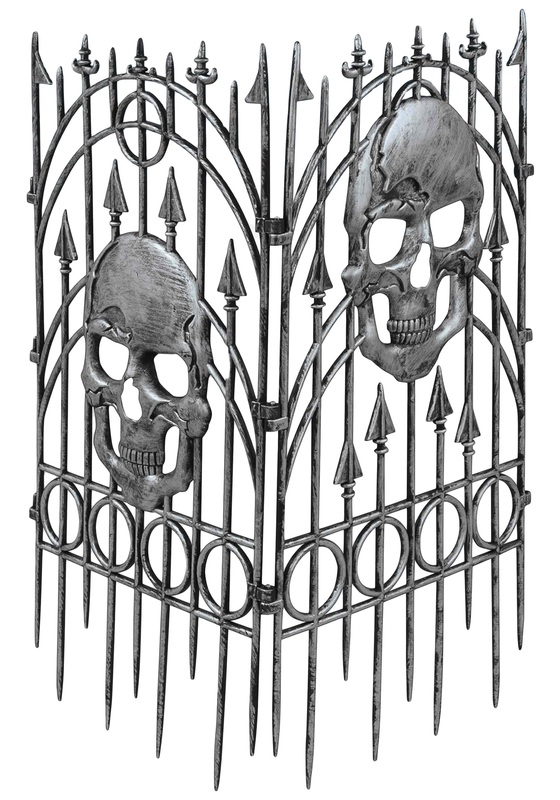 So, when it comes to warding your home from the various spooks that threaten to come find you during this All Hallows Eve, you can’t go wrong with a Silver Skull Fence. 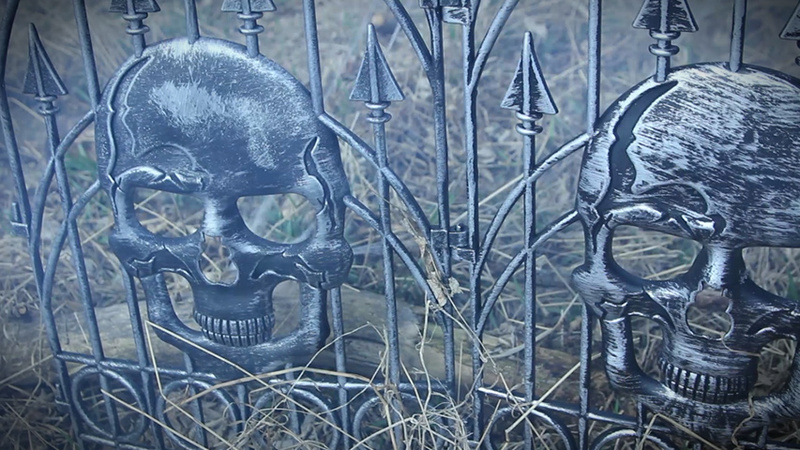 Each panel is 3 feet tall and 1.5 feet wide, made of molded plastic, and painted to look like weathered silver. Panels connect with pegs on each side for a potentially very long fence, indeed! Now, it won’t actually protect you from especially curious undead, but the mere appearance of silver is often enough to make them seriously second-guess approaching. 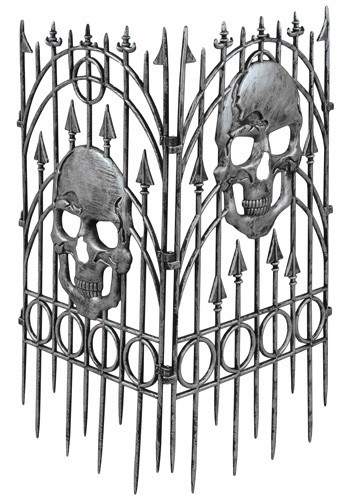 So, be prepared to help your undead friends get inside or you will have a whole flock waiting outside all night. Looks great but was so hard to put in the ground. Has a realistic look to it, much better than expected.I would purchase it again if more were needed.